Profit with an investment on Mallorca! Also in 2018 the interest in real estates on Mallorca rises. Now is a good time for a valuable investment in your future. For the purchase you should use the experience of a competent estate agent, Casa Nova Properties. We prepare with our network the notary appointment for you as clear and correct as possible. Today we present you the real estate which earn your attention because of their unique special location or equipment: for example a golf villa primarily to the golf course in a very popular arrangement, a centrally located apartment with great technical equipment and garden, an investment project of a villa in the first sea line, and other interesting offers: everyone won’t be long on the market! We offer you individual customer service by a comprehensive wide offer! Every customer who searches his dream real estate on Mallorca whether long-term, holiday or investment, has quite individual images of his apartment or his villa. BELLEVUE BEST OF ALL PROPERTY AGENTS is the only independent high-class seal in the branch of the real estate sector and enjoys nationwide and internationally substantial prestige. To the most important criteria belong seriousness and experience, objective consultation, market knowledge, variety and quality offer as well as the after sale service. We are looking forward for another good cooperation with you in 2018! We wish you all the best, a lot of success, satisfaction and above all health for the New Year 2018. May all your plans and wishes come true for your dream real estate on Mallorca, we are as always your reliable partner. 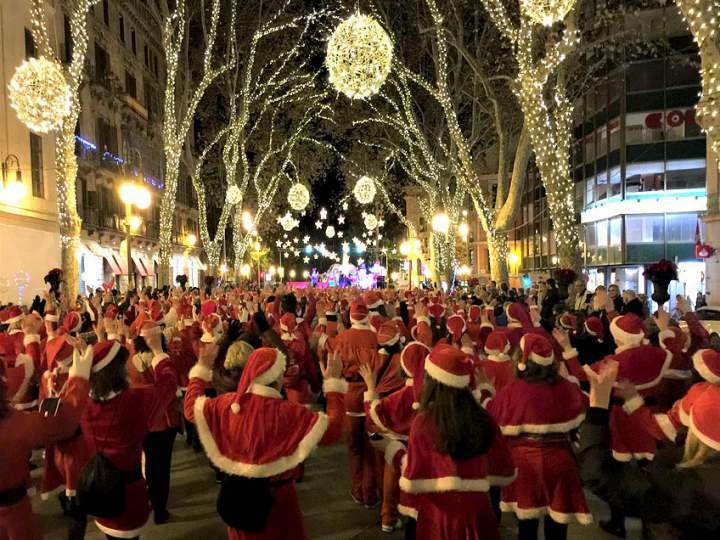 Palma de Mallorca celebrates lively and happily the Advent season! The team of Casa Nova Properties wishes you and your family lovely and wonderful Christmas.